Discussion in 'Auto Racing Discussion' started by PepsiRacer4, Jan 18, 2018. 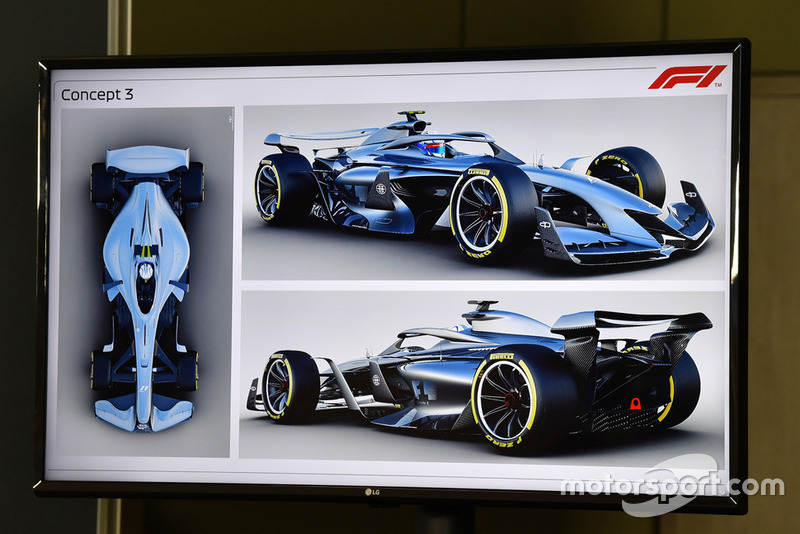 So they are actively trying to make the halo look like a toilet seat? And what is with the obsession of connecting a small shark fin to the wing? Looks ugly as hell. Nothing will be able to top 2017 in my eyes. Those cars were drop dead gorgeous. I'll happily be in the minority; that's hot. The 2017 cars baffles me. All the F1 teams had to spend a gazillion dollars because Formula 1 wanted new cars. 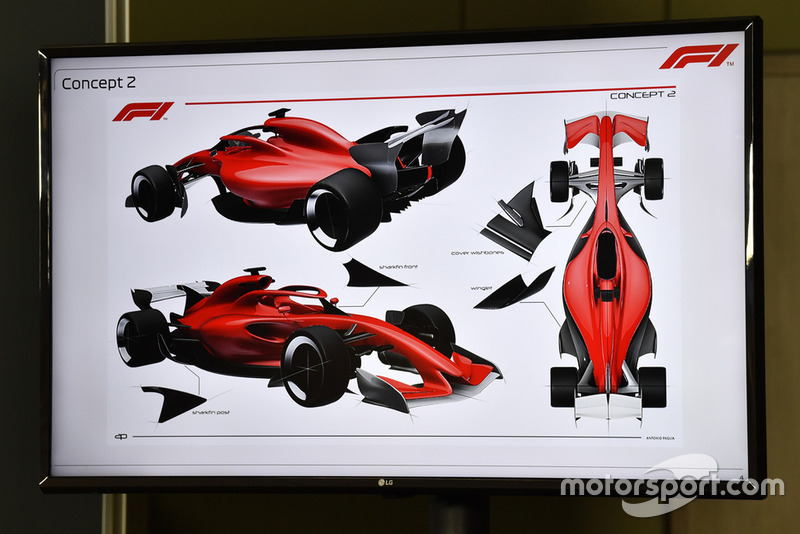 One of the main reasons for the new cars was how much better they looked, and then they kill that with the HALO. If they wanted to put the HALO on they could of saved everyone a lot of money by not creating a new car until 2021. I'm surprised there is so much negativity on how the 2021 car looks. Then again this is the Internet, and on the Internet people complain and moan non-stop. I think the 2021 car looks awesome, except for the toilet looking HALO. GurtonBuster what business do you work in? I'm curious. Spoiler: The business of misery. joeykraus19, dalejr88rox and Saan Anguish like this. GambitJon and joeykraus19 like this. Good song, that music video was badass. I hate to be this guy especially because I'm too chicken to be a race car driver, but damn this car would look so awesome without the HALO. Antonio Giovinazzi will be racing as a partner to Alfa Romeo Sauber next year. Good to see Ericsson got the boot. Kimi Raikkonen takes the win in the USGP, first win since Australia 2013, 113 races ago. GurtonBuster, FloridaFan88, Tetronix and 4 others like this. I mean, Lewis could've had the championship locked up today if the Mercedes fuckwads didn't wreck the whole pit stop cycle. Poor Lewis had to lose 9 seconds before he was brought into the pits. Whole strategy was off today and it was upsetting as a Mercedes fan. 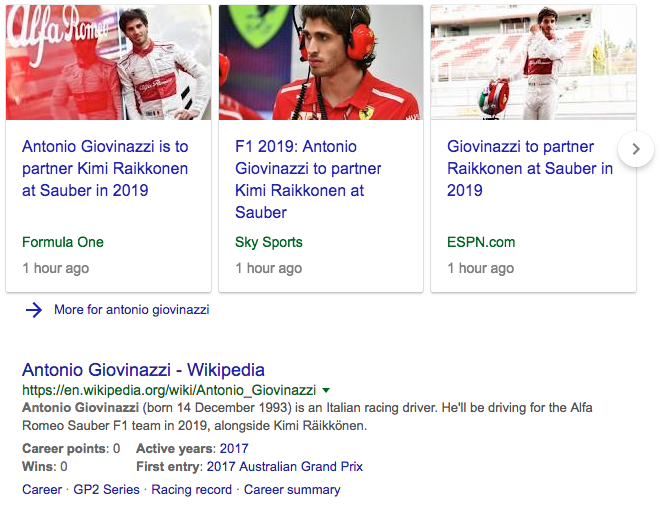 It's also pretty sad when your team driver gives a more honest interview than Toto - LH congratulated Kimi and Max, he was honest about everything and then you go to Toto, who blamed "lack of pace" before being questioned about it. Then he cracks and talks about terrible strategy. He just lets it all slide though. I would've locked the strategists for the team into one room and slapped them all with some sense. All in all, absolutely amazing racing - I loved every part of it. Shockey Rai, ahspencer01 and dalejr88rox like this. 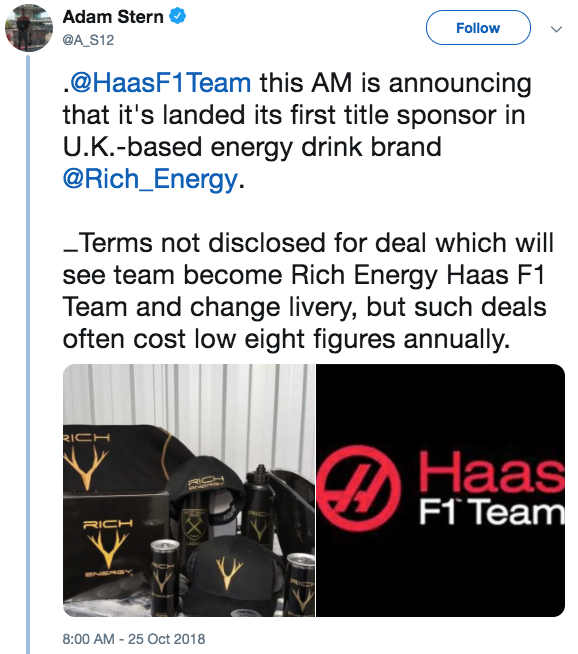 Adam Stern has reported that Haas F1 will be announcing this morning that it's landed its first title sponsor in U.K.-based energy drink brand Rich Energy. Terms not disclosed for deal which will see team become Rich Energy Haas F1 Team and change livery, but such deals often cost low eight figures annually. BrendonH12 and frow78 like this. The F1 youtube channel is currently live streaming the 2008 Brazilian Grand Prix. I'd rather not have my heart ripped out. 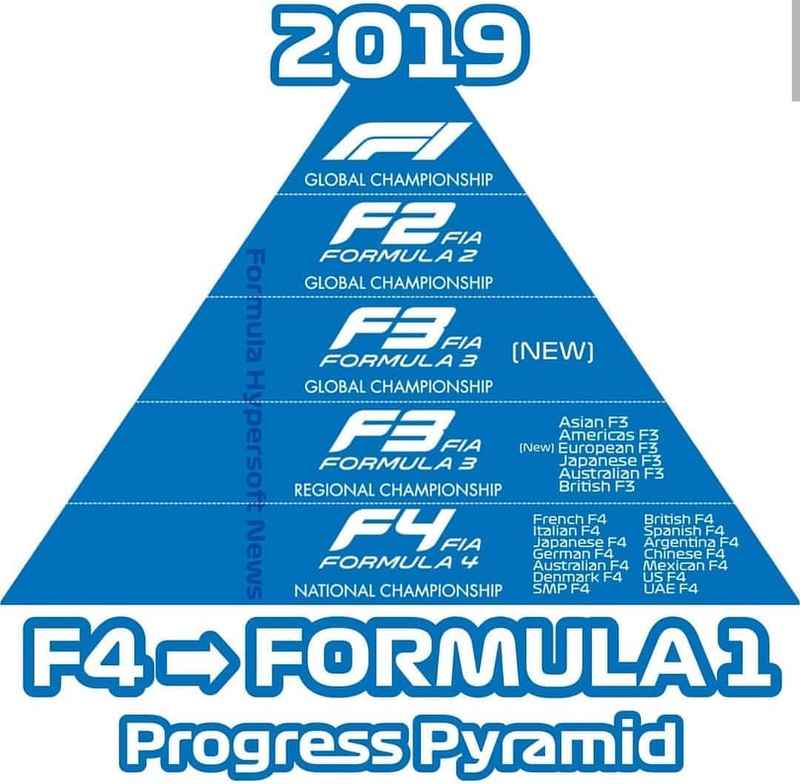 With the revamp and restructure of all the F3 series entirely, we now have complete ladder system to F1. This charts shows that and how terrible the new F1 logo still is.